Sketching has always been a hobby of mine. I find it relaxing and fun, since I don’t take it seriously. Of course, there have always been moments when I wished that I was better – and since I am not fantastic at it and have not had time to practice meaningfully, I let it fall by the wayside more often than I should. Were I to take a course, I would probably gain enough direction to feel motivated – however, again, time and money are always at a premium – and I don’t always have enough of either to spare for a commitment like a drawing class. Enter The Realism Challenge by Mark Crilley. Mark gained a massive Internet following because of the debut of his YouTube “Realism Challenge”, in which he demonstrates how to draw hyper-realistic versions of common objects using nothing more than a few techniques. In his book, he outlines the artistic tricks that he uses to create his fantastic renderings of real objects. The Realism Challenge is broken down into a number of sections, which each have a particular theme (shadows, colour, transparent objects), and within each of these chapters are step-by-step methods on how to render various objects. What I really enjoy about Mark’s book is that there is no magic to what he shares with his audience (other than the fact that this dude has the magical ability to both be awesome and humble at the same time). He shows the real object and then breaks down the steps to creating the facsimile in a simple and straight-forward fashion. There is very little variation in the number of steps between objects, and he is very consistent. Even better is the fact that when he is finished each project, one can’t help but marvel at how realistic his art looks. It’s pretty fantastic. The objects that are covered in the book are also very useful, and are different enough from each other to allow the reader to gain a lot of useful insight into the techniques that Mark uses, even though the steps are very similar between objects. His easy-to-follow instructions allow readers to grasp his line of thinking relatively quickly, and will have them applying his methods in fairly short order. I’m not saying that reading this book will make you an artistic genius – but it will definitely lead readers to become better artists and thinkers. I have read a few “instructional” art books, but this is definitely one of my favourites. 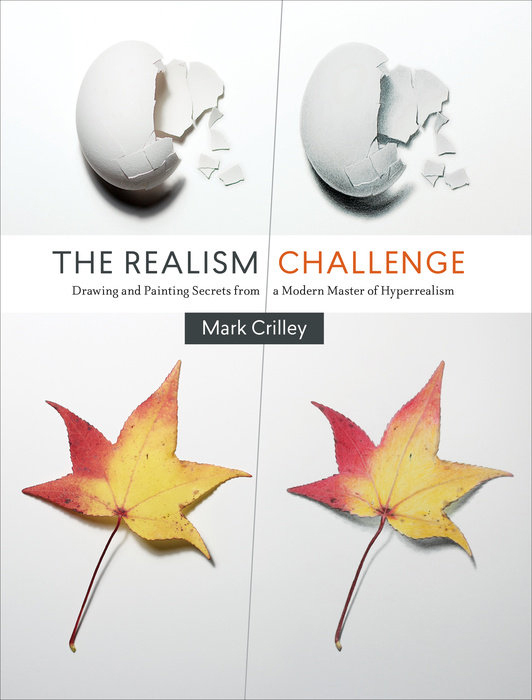 If you’re looking for a great resource to use as a guide to help yourself develop artistically, The Realism Challenge is definitely something to pick up for the reasonable price of less than $25 CAD. Light-hearted and easy-to-follow, this book is a very valuable companion in the journey of one’s artistic self-discovery. You can grab yourself a copy of The Realism Challenge here.